The opportunities created by the advance of technology and the efforts of people are amazing. 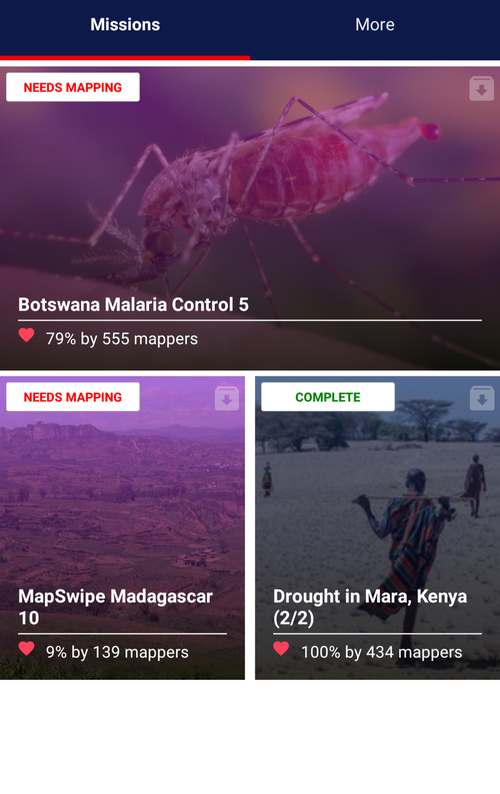 In this post, I’ll show how to take advantage and use the Mapswipe App as a first step to gain valuable insights for NGOs operating in places of the world for which there is no proper map yet. There are places on our planet where people live but there is no map. How are NGOs like Médecins Sans Frontières (MSF) supposed to do field work if they don’t know where people live, how many, how to get there? The Missing Maps project is addressing the issue via crowdsourcing. So if there is no map, you create one. Well, it is not that simple but thanks to nowadays technology and the efforts of enthusiasts, the opportunities are incredible. In the last days, I have been “mapping” a few hundred square kilometers on the Mapswipe App for Android. By mapping, I mean scanning a vast amount of satellite imagery for buildings. Let me explain how the Mapswipe App works in a few pictures. This is the homescreen, where you can see missions. There are only a few missions to select but this means that the volunteers are actually focused to complete these missions. You can choose to work on any of these missions. The mission overview page explains briefly what this mission is about, and why the mapping is needed. In this particular example, the mission statement claims that identifying villages, houses, huts will benefit an effort against malaria. We do not need to know how exactly this will help in order to proceed. The instructions are very brief. 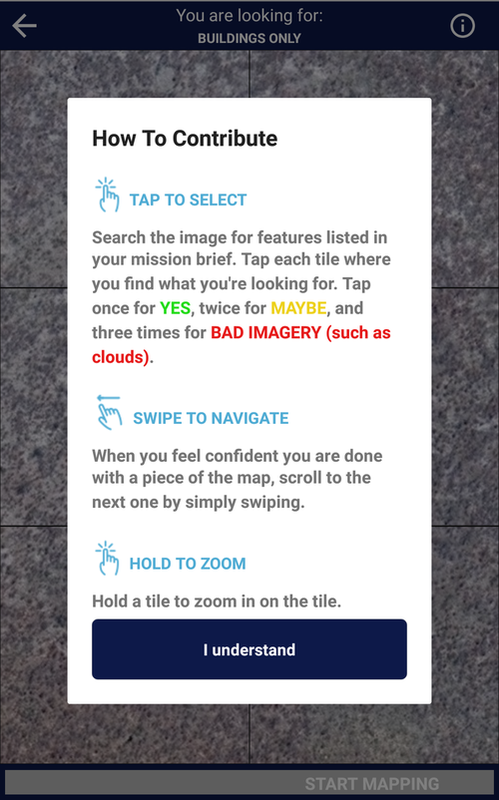 You swipe left through the map, and annotate those tiles where you identify buildings. Some people around you might think that you’re using Tinder, but who cares. Why is this useful? 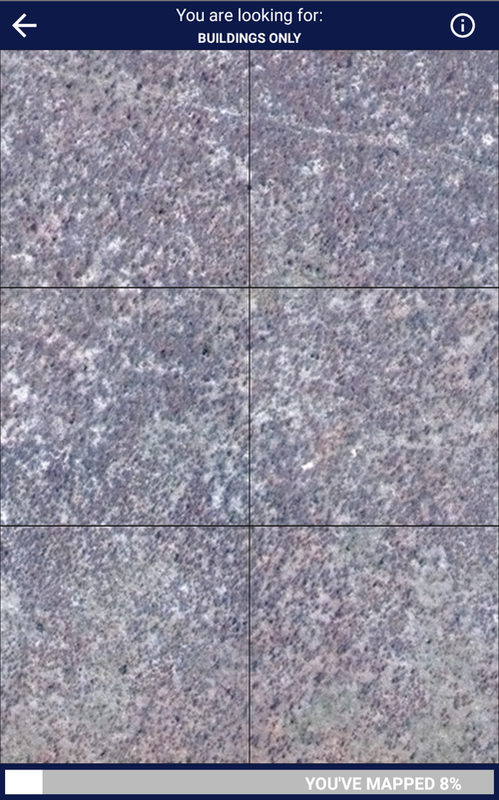 Well, the tiles that are annotated to contain buildings might be examined by further volunteers (using other tools, not the map). Building a coarse map of the territory is speeding up detailed mapping. Let me explain this. I attended (helped organise) two so-called Mapathons for the Missing Maps project. At these events, volunteers sit at their laptops and create more or less detailed maps of areas where there is a need. 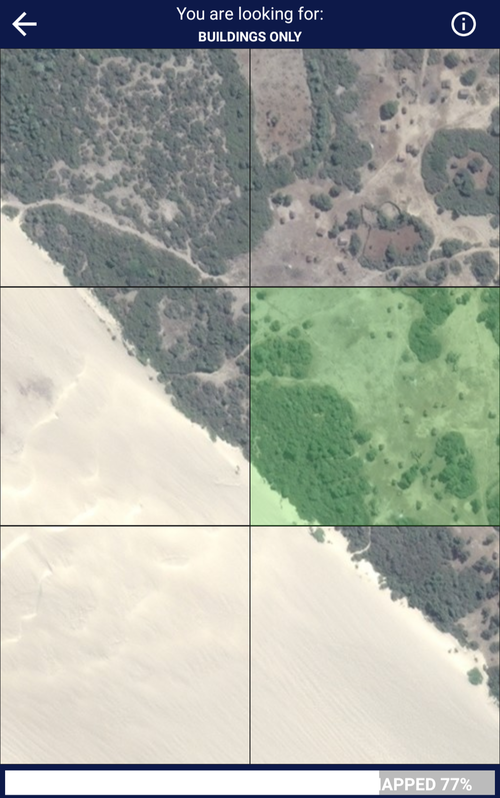 I spent quite some time on the iD editor (this is a tool that allows you to create maps in OpenStreetMap), browsing through endless forests in DR Congo. Boring! Not a single hut, disappointing. This is where the Mapswipe App becomes useful. If I only knew in which areas there were buildings, I would not waste my time scanning satellite imagery on the screen – which, surprisingly, is far more cumbersome than on the specialized Mapswipe app. I can’t see any houses here. But evidence of absence is also information. 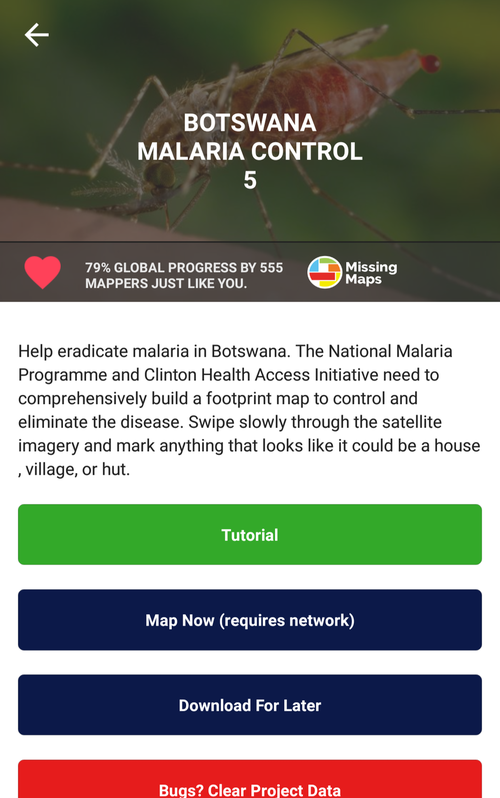 To improve accuracy, Mapswipe is smart, and distributes the same task to various volunteers, thereby reducing the variation in the results. And this is a screenshot of satellite images where buildings are clearly visible. A single tap on the tile will mark the tile as “interesting”; for the mission we chose, this means that there are buildings. This app is definitely a better use of my time than playing with many other apps that I could install. Give it a try: http://www.mapswipe.org.